Villains Tonight! 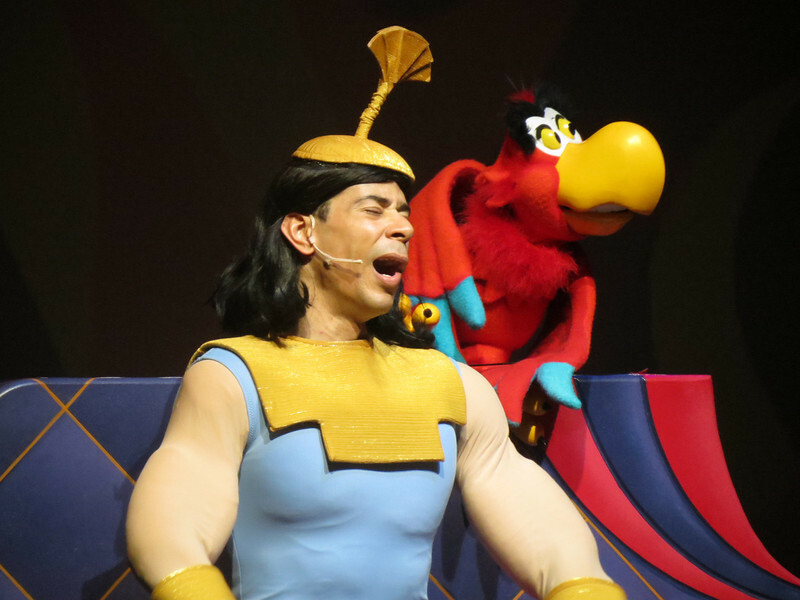 is an approximate hour–long, comedic revue-style live show starring some of Disney’s most beloved villains. Villains Tonight! tells the tale of Hades as he attempts to hold onto the title of “Lord of the Underworld.” After The Fates warn him that he may lose his position as supreme ruler because the Underworld is too happy a place, Hades gathers the most powerful Disney villains in an attempt to make his underground kingdom a bit more wicked. Accompanied by some of Disney's most beloved scoundrels, Hades sets off on a exciting quest brimming with lively musical numbers and wacky antics. Villains Tonight! features both classic and new Disney villains including: Ursula from The Little Mermaid, Cruella De Vil from 101 Dalmatians, The Evil Queen from Snow White and the Seven Dwarfs, Captain Hook from Peter Pan, Scar from The Lion King, and Dr. Facilier from The Princess and the Frog.